You did it! You've learned all 26 of the minuscule letters (lower case) in Foundational! Here's a sheet that offers a reminder of what we've learned. Now I know you're probably going to want some other elements to really make use of your new lettering. This is a whole separate subject! 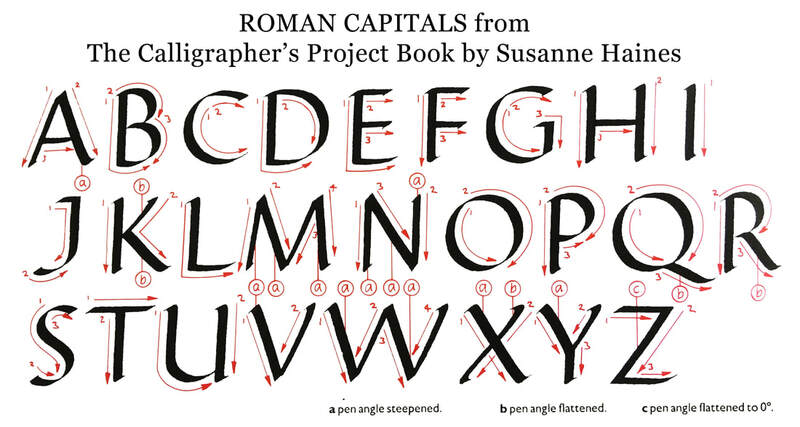 However, if you try writing a capital as you think it should look, you're probably going to be about right. Keep your pen at 30 degrees, think about nice rounded shapes for the rounded letters, and it should be OK. Here's some suggestions for punctuation, but again if you try and make shapes that match your letters you'll almost certainly be fine. 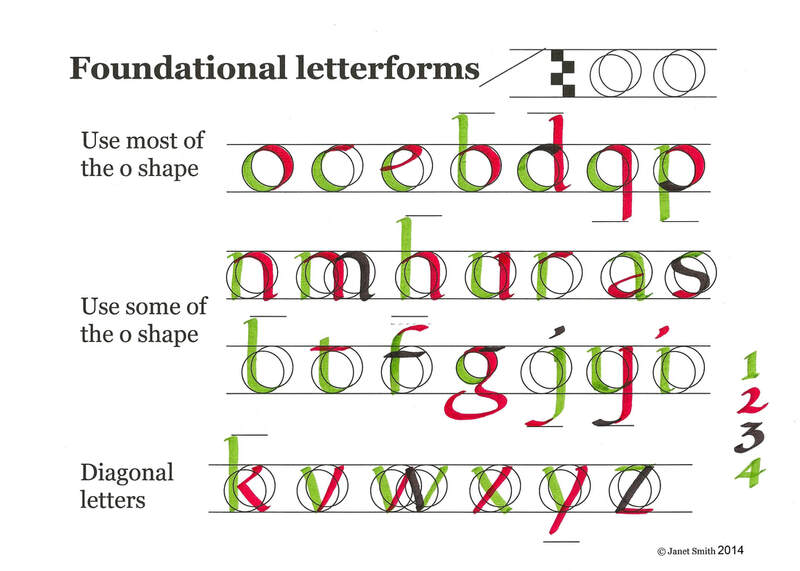 Again, some suggestions for you that will sit well with your rounded foundational letters. (Out of interest, our lettering has Roman roots, whereas the numbers we write today have Arabic roots, so they were never designed to live together). It's really up to you what you do with your new Foundational lettering, but I'd suggest you try and use it whenever you can. Birthday cards, envelopes, shopping lists - anything! In fact, the more you practice making real things (finished pieces for yourself or for friends and family) the better you will get at making real things. Whereas if you only ever practice your letters, you'll only get better at practicing letters. 1. Create a beautifully addressed envelope, using your Foundational lettering. 2. Write something of your choosing in Foundational - could be a poem or prose, and can be of any length. Think about how it's going to be laid out on the page - remember that if you leave a nice generous margin around your writing, it gives the impression of it being framed and immediately makes it look more important and valuable. I look forward to your creations! Photograph them and send them in, along with any last questions with which I can assist!